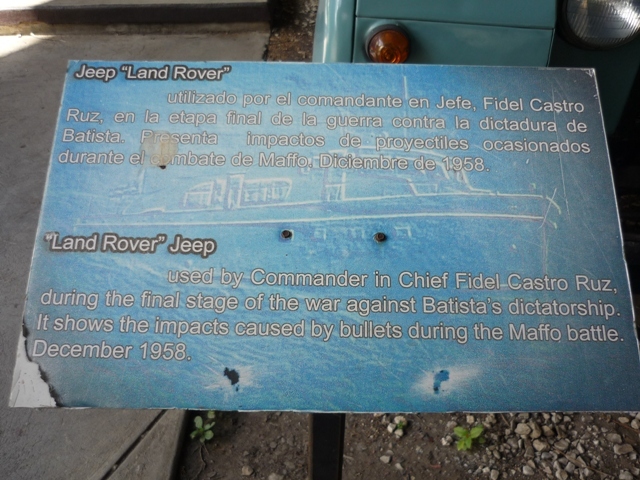 ACCORDING TO Cuban history, the official line is that Fidel Castro used this LWB Series 1 station wagon in the last throes of the revolution against Batista’s dictatorship. Not many Lode Lane products have become a monument but, after the overthrow of power (in Cuba), this one has. Additional body modifications in the shape of bullet holes were gained during the Battle of Maffo in December 1958. 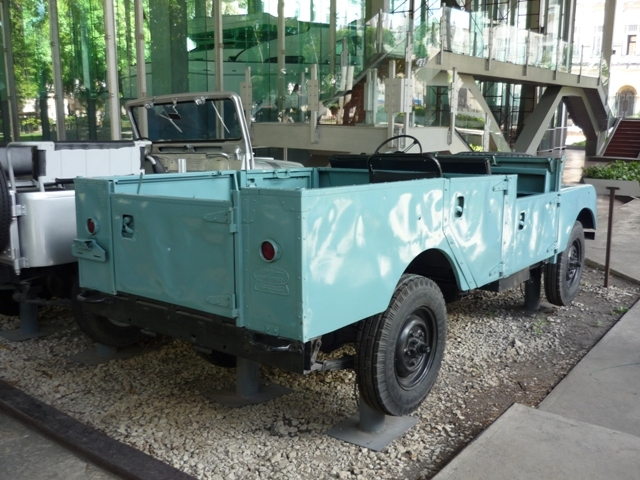 Bodily straight and bearing low mileage (in kilometres), its Birmabright body has been painted many times over. 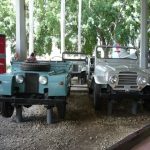 Now lying in state in Havana’s Museum of the Revolution, this Landie currently sits alongside similar four-wheeled monuments to the revolution including a CJ5 and a very early Toyota Land Cruiser, not to mention the tailfin of the ubiquitous B26 bomber shot down during the Bay of Pigs incident. 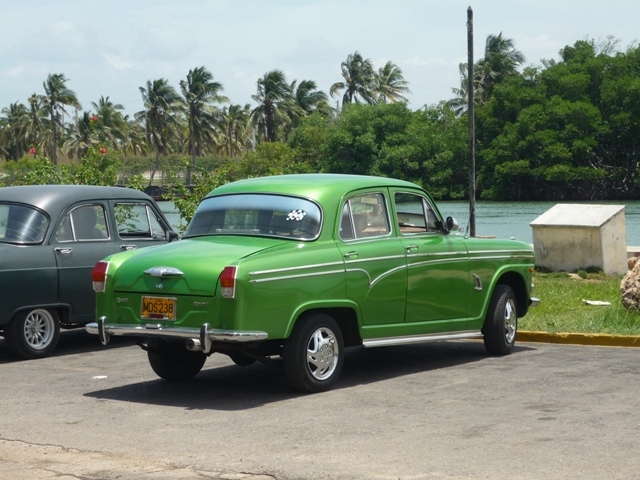 The car is a surprising find given Cuba’s heavy reliance on the American automotive industry prior to the revolution. 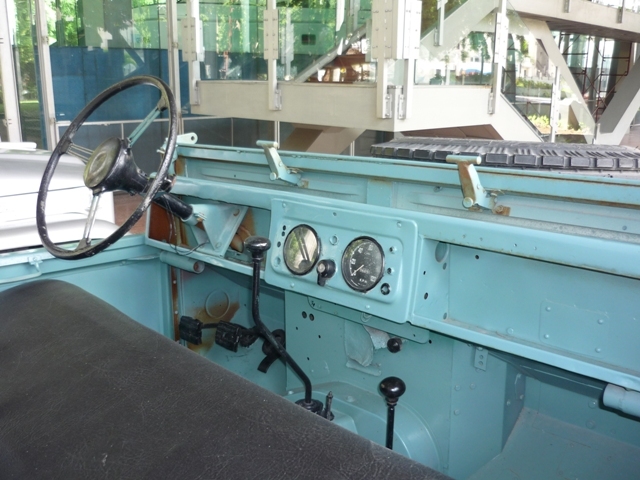 One wonders if Land Rovers were a more popular choice in South America… It is known Che Guevara travelled extensively across South America from his Argentinian birthplace before calling Cuba his home. At odds with the chrome and fins of the abundant ‘Americana’ two of Oxford’s finest were spotted – the first (alas not on film) was a Steel-bodied Traveller (the roof gave it away), the second was this Series Two split-screen Minor. 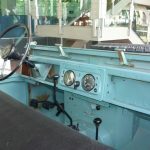 Whether its original beating heart of 803cc and running gear still lived beneath is unknown – the smart money would point towards the USSR; note the tight PCD of the wheelnuts compared to the original. The smart flush fitting (Lada?) 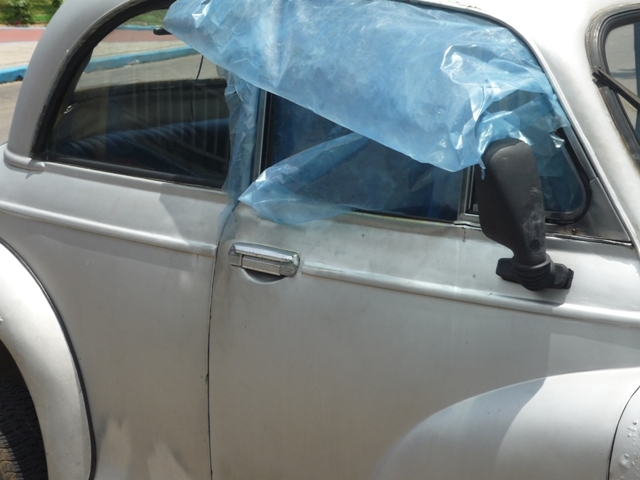 door handles are quite a nice touch and a fairly regular modification on Cuba’s highways. 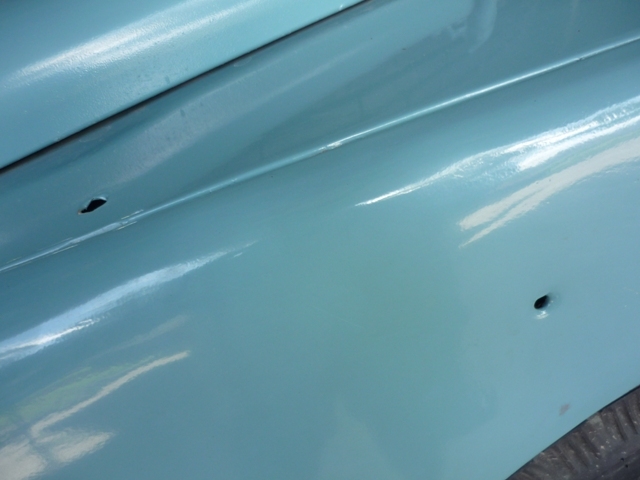 Britain’s workforce ought to be proud of the condition of the chromework over 50 years later. 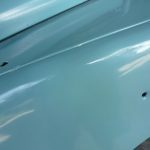 Two Lane Blacktop Zephyr meets Fast and Furious Westminster: dig deeper though and, apart from the electric green paint job, some startling body modifications appear – not least the major bootlid and tail lamp surgery. The bootlid has actually been shortened a good six inches in depth! An unusual find to say the least! As a product that is post-revolution, but not of a Communist origin, it is rather surprising to stumble (from the top of a moving bus!) on a bog-standard R6 Rover Metro/100. 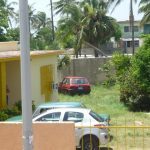 The blue number plates mark it as a Government- rather than contractor-owned car, so maybe this was a gift from our own British embassy? It’s hard to identify where in the model range it came, does anyone from the firm know more? If you’d like to see more, visit Andrew’s new site, Stratosilver. 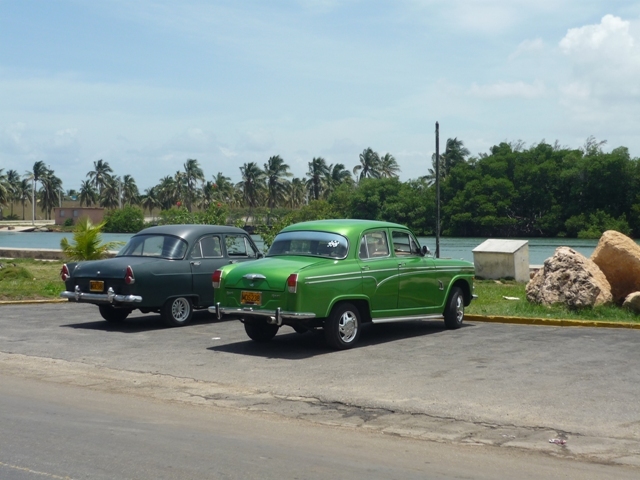 I visited Cuba a few years ago and found the whole place absolutely fascinating. 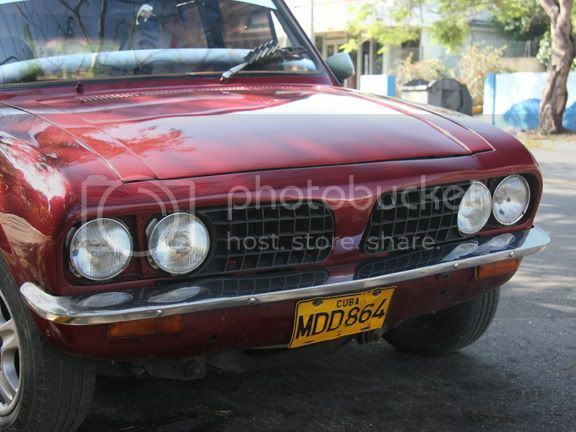 Whilst pretty much every car seemed to be a Lada, I did spot and photograph a Triumph Dolomite. The front suspension looked odd though so I can only assume it had had a transplant from something else as I wasn’t convinced it was a 1500FWD. The paint job though was really good. That Rover Metro is a Pre-’93 1.1S or 1.4S (111/114) It has thick side rubbing strips and no tinted glass. When I was in school in the late ’80s, a classmate came back from holiday in Cuba and recounted seeing a trailtruck full of shiny new Rovers. 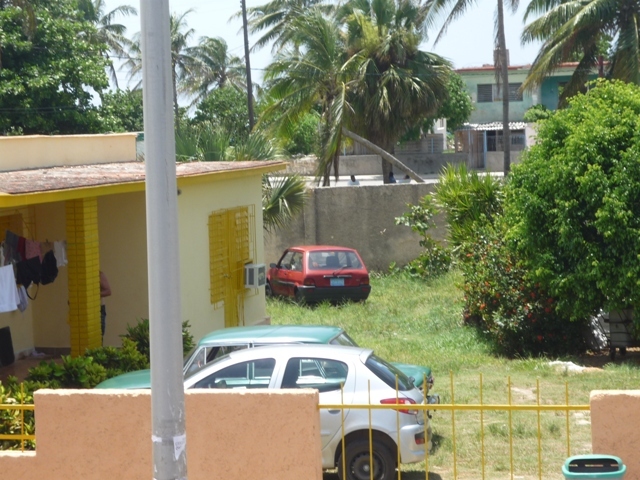 Is that a Peugeot 206 beside the Metro, too? 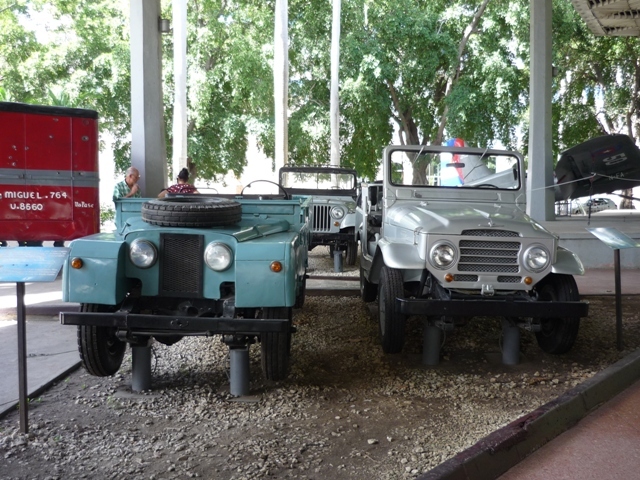 Has France resumed exports to Cuba? I like the A90, MAX POWER Cuban style! 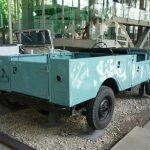 Did you see the armoured car made out of a bulldozer? I heard a story about a load of Leyland buses bound for Cuba but which were conveniently sunk in the Thames in a shipping accident. 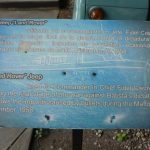 I forget whether that was on this site or another one, but does anyone have any details? 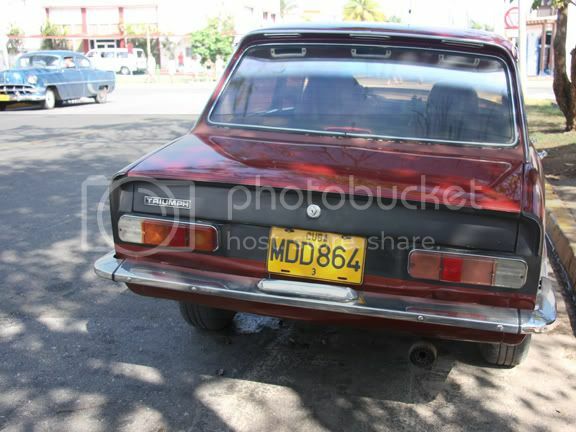 Looks like the A90 has Volga tail lamps, very smart. I stand to be corrected Clive! 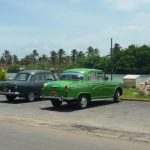 I lived in Cuba for 7 years through 2003 and Peugeot is, indeed, exporting to Cuba via a company called MultiMarca in the Havana district of Cerro. This is a Government entity and may have been in partnership with a Canadian firm called Tokmajian Group which imports a lot of South Korean cars. 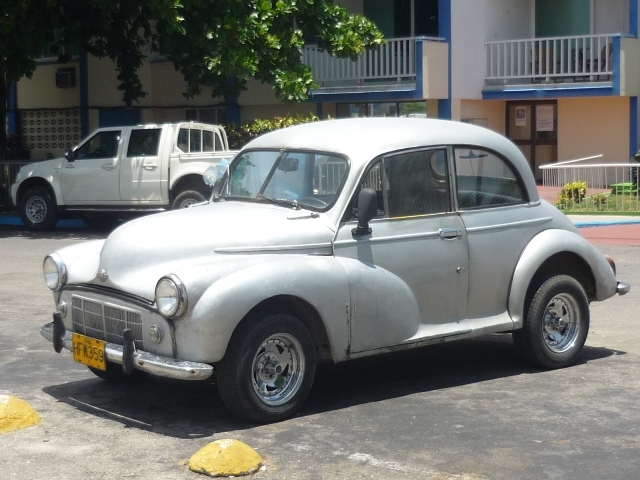 I recall seeing the Rover 100 on the road in Havana – not something I would forget as it was about the only one I saw and I am guessing it is the exact same car. 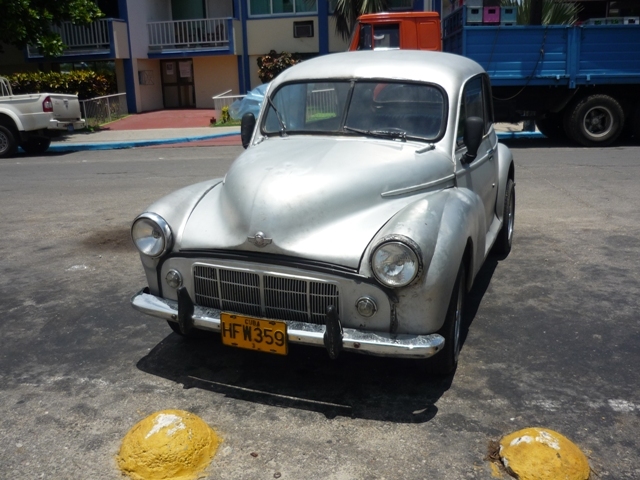 The blue plate is, indeed, that of a Government-owned company but as well being an official multiple import it could also have come in from a number of avenues including a returning Cuban or via diplomatic channels. 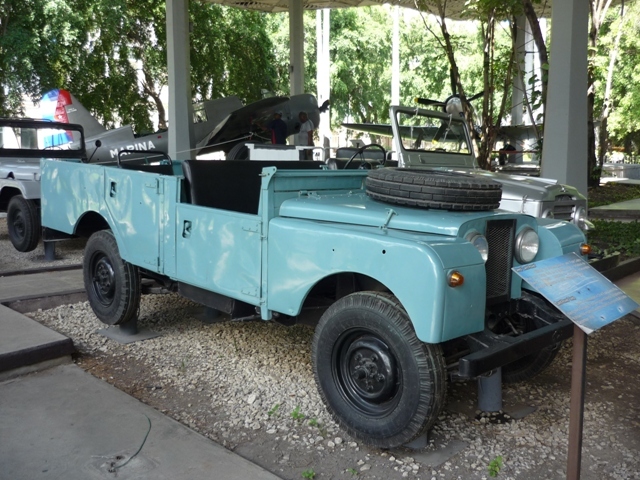 There are probably thousands of British cars still on the road throughout Cuba with the most common ones being Hilman Minx, Morris Minor and Latin American-made Land Rovers as well as more rare models such as a Jaguar MkII, MGs of various eras and some old Triumphs too. 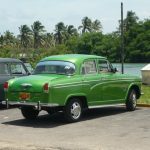 There was, of course, also the infamous shipload of Leyland Buses that were blown up as they entered Havana harbour – that was rumoured to be sabotage by the CIA shortly after the revolution and shutdown of US vehicle imports. It’s true that the Peugeots may be from China but I can assure you that’s not for any Commie reasons. 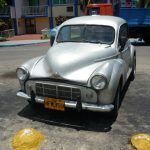 The Cubans buy from wherever they can obtain the best deals and a lot of vehicles do come in from Europe including Fiat, Renault, Citroen, Peugeot, Seat, BMW, Mercedes, Skoda, VW Audi and Volvo – all are common on Cuba’s roads these days. All of the South Korean and Japanese OEMs are also represented but what I have started to see in the last couple of years are cars from Geely – no doubt they are as cheap as chips. Richard thanks for the clarification – Cuba makes Italy seem like Switzerland on the clarification stakes! 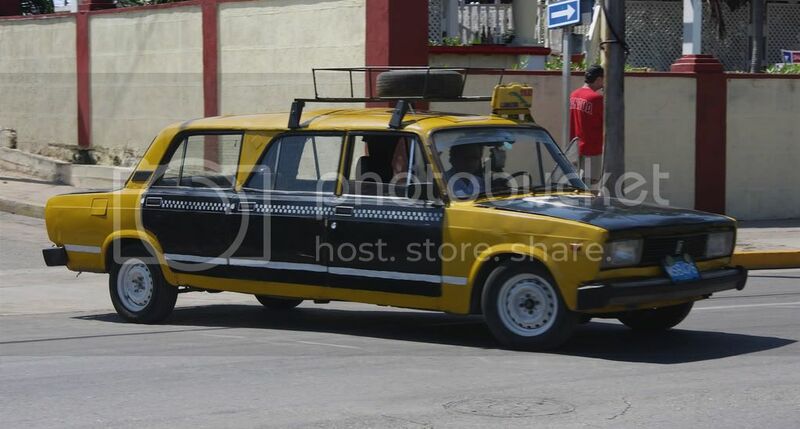 I noticed quite a few of the Geely saloons and lots of Fabias being used as taxis as well. The big question is what took you to Cuba for 7 years? Please spill the beans – it would make a great blog for me, Keith and all AROnline’s readers. Those 107 station wagons are excellent. 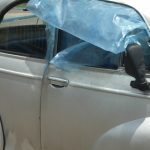 I love the way the whole roof comes off – pillars and everything – and all five doors split. What kind of blog did you have in mind Andrew? !! I did as little as possible but my days were always full and eventful!! I am back there at least once a year. 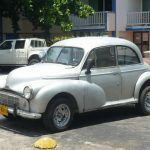 I have just come back from Cuba and have lots of pictures of British cars. 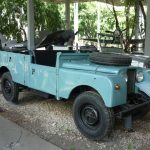 I saw a few Landrovers Series 1/2A/3s which were all looking pretty good. The Ford Consul seems to be plentiful and there were also a few Hillman Minxes.